Top Champagne of a small and traditional Champagne House. 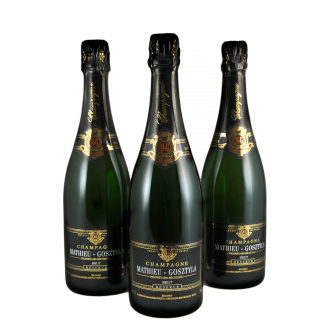 Mathieu Gosztyla is a small and traditional Champagne House from Baslieux-sous-Chatillon, in the heart of the Champagne region, at a stone's throw away from Epernay. The daily management is in the hands of Fabièn-the son of a Champenois (Mathieu) and his mother from Poland (madame Gosztyla). Fabièn is greatly passionate about quality and terroir. 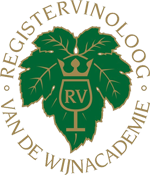 The House works exclusively with the ' lekwijn ' (the cuvée or vin de goûte) and the ' taille' (the inferior press wine) is sold to the big houses. After bottling follows for the tradition a maturation period of at least 2 years (!) sur lattes of dégorgement. Which is to say that the wine in the bottle minimum 2 year fermented in the bottle before the yeast cells are removed. The quality is very high and because of the low production there are only 40,000 bottles annually. 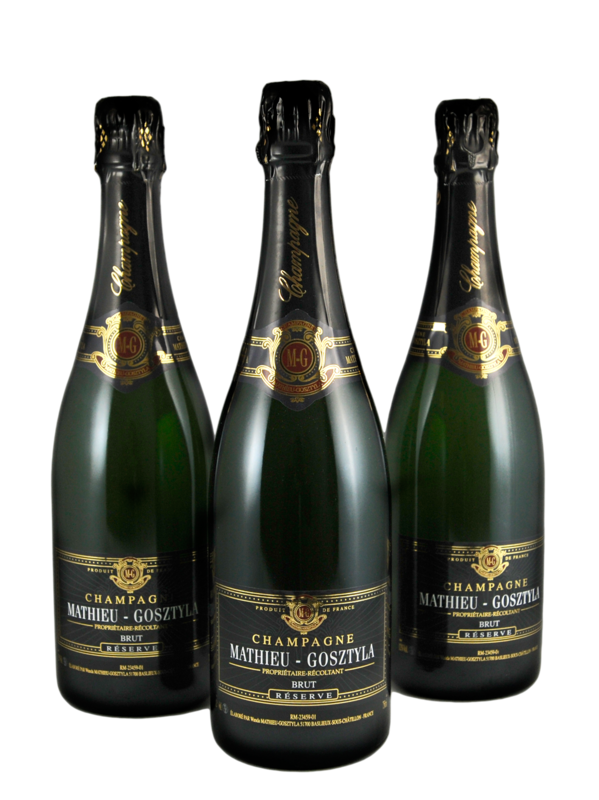 The brut of Mathieu Gosztyla is in his youth very fine of mousse with a high minerality and shows the typical tones of white bread and fresh hand fruit (Apple and pear).